Being consistent while choosing your tenants and treating them all equally is essential to ensure that you’re not discriminating. So let’s check out how you can interview and screen out great tenants who will take care of your property. Once you’re done with mending the holes punched by a tenant in your wall or such other horrible rental condition, you might start to think that great tenants are just like Bigfoot – people say they exist, but no one can confirm! You can let go a sigh of relief, because great tenants do exist! Here are the top 7 features to help you find them. 1. Great tenants will always read the lease. There are two types of tenants. The first type reads the lease. The other does not. You can’t really blame them. Just think for once, did you ever read the terms of agreement while installing a computer software? However, when it comes to renting a property, the tenants who are serious enough to read your lease, are the ones who actually care about their living situations. They are most likely to take proper care of your space and listen to your requests. 2. They will obey the lease. Since these tenants have already read the lease, they know their boundaries and limitations. If there are any problems regarding tenancy, they will definitely bring out the clauses in the lease first before approaching with their plans. 3. They will pay rent on time. Seeing rent checks right on time is always fascinating. When you have great tenants, they deserve the thanks for this. Great tenants will always have the date of payment marked on their calendars to make sure that they never cross the deadline. In case of rare situations, they will notify you instantly if they are even a day late to submit the rent. 4. They will take good care of your property. When you have a good client, you won’t have to worry about patching up those holes. As long as they’re living in your home, they will take excellent care of it. When they accidentally break something, they are most likely to inform you, instead of hiding it away. If they are truly nice clients, they will try to fix the problem by themselves along with paying for it! 5. Their behaviour will be polite and courteous towards neighbours. Good tenants will never harass or make indecent comments at their neighbours. This is because they realize that a happy neighbourhood makes for a lovely living environment for everyone. So they prefer not to deal with their neighbours in an offensive manner and treat them with respect. 6. They will not make unreasonable complaints. There are lots of tenants out there who will complain to you about something absolutely ridiculous. A good tenant will never put you in such situations. They will realize the value of your time and are not likely to make unreasonable complaints. 7. They will have a stable employment history. 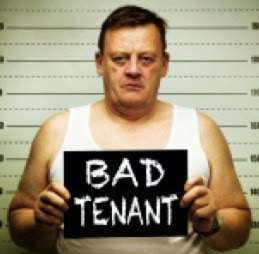 Be very careful while choosing tenants who have worked at multiple jobs in the past two years. When a person has a stable employment, it means that he is reliable and trustworthy to the company in which he is working. You can keep your mind at ease when you know that your tenants have had a stable job for the past few years. 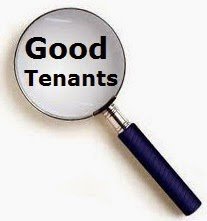 These tenants are trustworthy at their work and will be the same while dealing with your property. To make sure that your tenants are the best ones for taking care of your property, it’s important to hold a proper interview. There are a number of questions you need to ask to find the best tenants. Let’s check them out chronologically. 1. Why are you planning to move here? The most preferable answers will be: “I’m changing my job” or “We needed a bigger place”. 2. Do you have references from your previous landlord and your employer? This is a great way to assess the honesty of a prospective tenant. 3. Do you have any problem with a Background/Credit Check? The best tenants will not freak out with the thought of a background or credit check. 4. How much do you make? His income indicates whether he will be able to pay the rent regularly and on time. 5. Who are you going to live with? If you’re interested to keep your property quiet and well maintained, you definitely wouldn’t want a dozen of college students partying there every night. 6. Were you ever evicted? A clean criminal history is a great relief while screening your tenants. Make your pet-policy absolutely clear to the tenant. If you allow pets with a pet deposit, inform this on paper. 8. When can you move? Sync the move-in dates with your tenants. It helps to assess how serious the tenants are about moving in to your property. 9. Are you planning to sublet? The best renting policy is a ‘no subletting’ policy. 10. Will you be able to pay the rent for the first month and a full security deposit before you move in? If the tenant has no problem with these payments, you will probably receive your rents on a regular basis and on time every month. The total monthly income of the applicant must be three or more times that of the monthly rent. The applicant must have a stable job. The applicant must provide positive references about rental payment, property maintenance and good housekeeping from the previous landlords. The number of occupants should not be more than two per bedroom. Sometimes, people lie to get into a new home. So it’s important to verify everything they mention on their applications. You can put a ‘release of information’ part on your application and get it signed from the potential client. This will legally allow you to verify their claims. What is the current income of the applicant? How long have the applicant worked there? Is this a full-time or part-time job? How long did the tenant rent your property? Did you receive a proper notice when the tenant vacated? Did the tenant get back the security deposit? Will you be renting to this tenant again? After verifying all the information mentioned in the application, you will have a pretty good idea if the tenant is good enough for your property. When you’ve found the applicants who have successfully qualified for tenancy, you can let them know that you’ve got no problem in renting them your property. The protection of your property and a scheduled rental income can be ensured by a fair, transparent and assertive screening process. Being ignorant while choosing your tenants can prove to be very costly at a later stage. The entire process of scrutiny might be a difficult task, but once you’ve done it right, your tenants will last a long time!